In order to discuss the ideas and implementation required to achieve peace, a peace summit under the theme of “Collaboration for Peace Development: Building a Peace Community through the DPCW” will be held in South Korea 17th to 19th on September. An international peace NGO named HWPL under the UN ECOSOC and UN DPI invites about 2000 social representatives the fields of politics, religion, law, education, youth, women, press, and civil societies to “2018 HWPL World Peace Summit” that marks its 4th anniversary. The host organization, Heavenly Culture, World Peace, Restoration of Light(HWPL) has advocated the participation of international organizations, governments, and civil societies in achieving peace through “Establishing Collaborative Governance for Development and Implementation of the DPCW”. Based on the idea of collaborative governance, this year’s summit aims to further seek for the driving force for the enactment of the international law for peace through an all-encompassing approach involving different areas of expertise. Participants will discuss the following agenda: 1) National and regional support for developing the DPCW into a legally binding form, 2) Future direction of the interfaith dialogue meeting to find a trustworthy religious scripture, 3) Role of educators in peace education to spread a culture of peace, 4) Practical action plans for peace-related projects led by women and youth 5) Peace network platform for journalists. 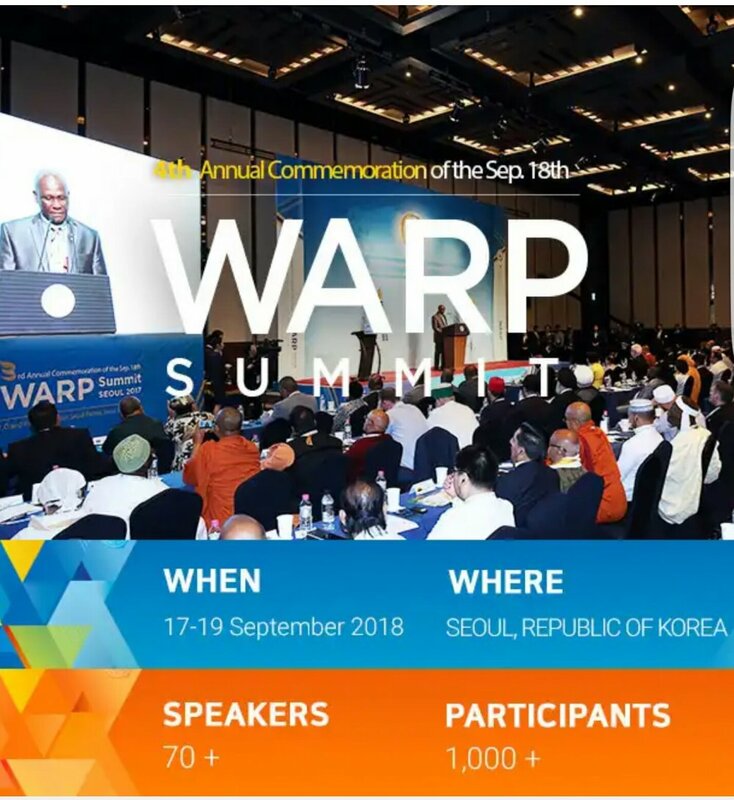 HWPL, ever since 2014, has hosted the World Alliance of Religions’ Peace(WARP) Summits with the slogan of “everyone to become messengers of peace” to discuss the realizable methods for world peace in association with the leaders each sector of the global society. As a result of such collaborative efforts, in 2016, HWPL and world-level international law experts proclaimed the Declaration of Peace and Cessation of War(DPCW) that can prevent any armed conflict at its core. The DPCW of 10 articles and 38 clauses addresses the role of states and civic participation for peace-building through developing friendly relations between nations, prohibiting the use of the forces, fostering religious freedom, and spreading a culture of peace. Emphasizing the importance of collaborative efforts, Chairman Man Hee Lee of HWPL delivers his message to the people he has met by saying “If there is an answer to peace, every family of the global village born in this era should become a messenger of peace. 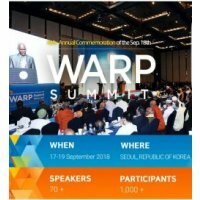 It is our responsibility to put an end to war and make sustainable peace a legacy for future generations.” HWPL announces that this year’s summit proceeds high-level meetings for the former and current heads of state and women leaders including the first ladies to advocate the support for the DPCW at the national level backed by the national solidarity statement for the DPCW eSwatini and Seychelles as well as the agreement of the President of Pan-African Parliament (PAP) on the implementation of peace-related institutions and projects based on the principles of the DPCW throughout Africa.